Building business credit is tough. You have bills to pay and your suppliers, laborers, employees, or creditors don't care about the mountains you have to move in order to keep everyone paid. Traditional banks want you to have a longer track record of success, your D-U-N-S number gets you small revolving credit accounts, but no cash flow capability, and investors want a voting share in your company if they're going to inject cash. Fortunately, invoice factoring companies understand the predicament and they have a solution. Being an entrepreneur is a sacrifice from the first day until the day you get your big break. Your personal credit score and business credit are typically two of the first things that get sacrificed, so you need a lender who, not only knows that, but who is also invested in your success. That is the key with invoice factoring companies. In other words, invoice factoring is exactly what it sounds like. The potential "lender" will look at your invoice history and bank statements and give you a factor rating based on that, rather than based solely on your credit. 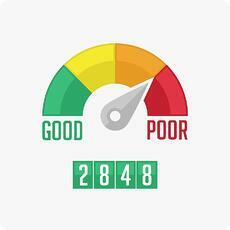 The fact that your credit does not weigh heavily is your first clue to how different the process is from a loan. In fact, the cash advance that you receive is not like a loan at all. The invoice factoring companies review the invoices you have going in and out every month. They set a number, or factor, for how risky your business is with the revenue you are currently earning. The factor you are assigned determines the total amount you will have to repay. They purchase your invoices for a set number of months - usually between six and twenty seven - by making a direct payment to you for an agreed upon price. They make the payment to your account and take over the management of the invoices you have agreed to allocate. This is vital because you do not have to factor 100% of your invoices and revenue; you can choose which revenue streams will be included and which will not. The included payments are processed by the invoice factoring company, they remove the portion owed to them, and deposit the remaining funds into your account, usually within 24 hours. Once you have met the total payment amount, your invoice processing system returns to your control. When you partner with an invoice factoring company, you are ensuring a healthy cash flow for your company. Most importantly, you are also freeing up the cash you need to be able to take that next step in your business without taking on traditional debt. Since factoring is not a debt, it does not immediately negatively affect your personal or business credit. Because of those benefits, invoice factoring is a unique source of funds to help with cash flow that can grow your business without growing your liabilities. Contact Bay View Funding today so they can help you solve your cash flow problems.